Looking for a Good Golf Push Cart? When you go round the green for a few rounds of golf, you will find yourself paying a number of different fees. These are beside the tee fees, most of these are pretty significant and they are mainly for the rental of golfing equipment. This might not seem like much but, if you are a regular golfer these fees can soon mount up and in the long run, you could have purchased the equipment twice over that you have been renting. If you are one of these regular golfers than a golf push cart is definitely a good thing to own for you. The CaddyTek Superlite is from an extremely well-known brand within the golf industry which is known for its cheap yet high-quality golf carts. This model has a heavy duty construction helping with long term use. The steel frame which is oddly lightweight coming in at less than 12.2 pounds is ideal for any golfer and any terrain. 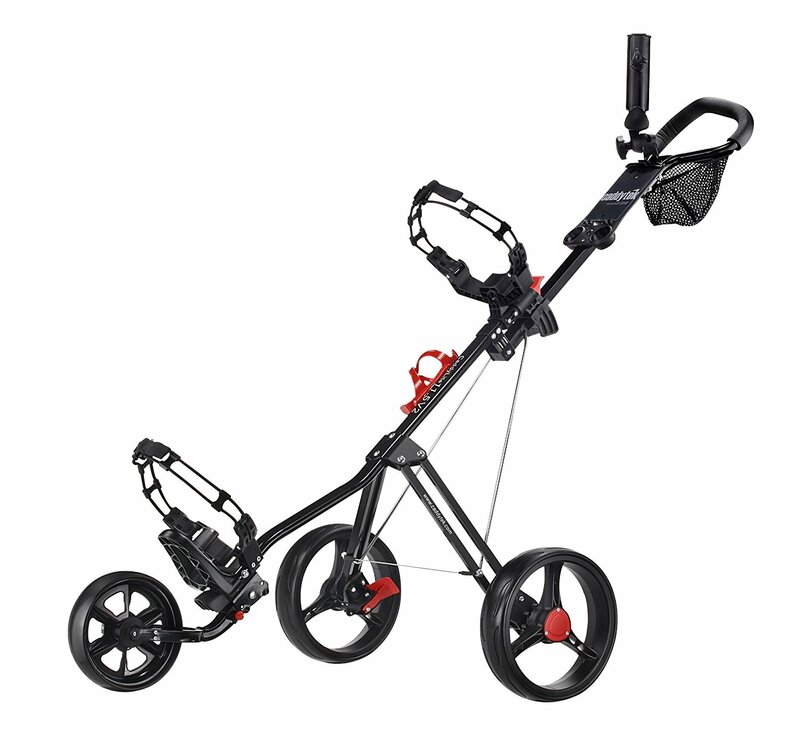 The cart also has a wide body and a heavily padded handle which has four levels of adjustment making it great for any size golfer. 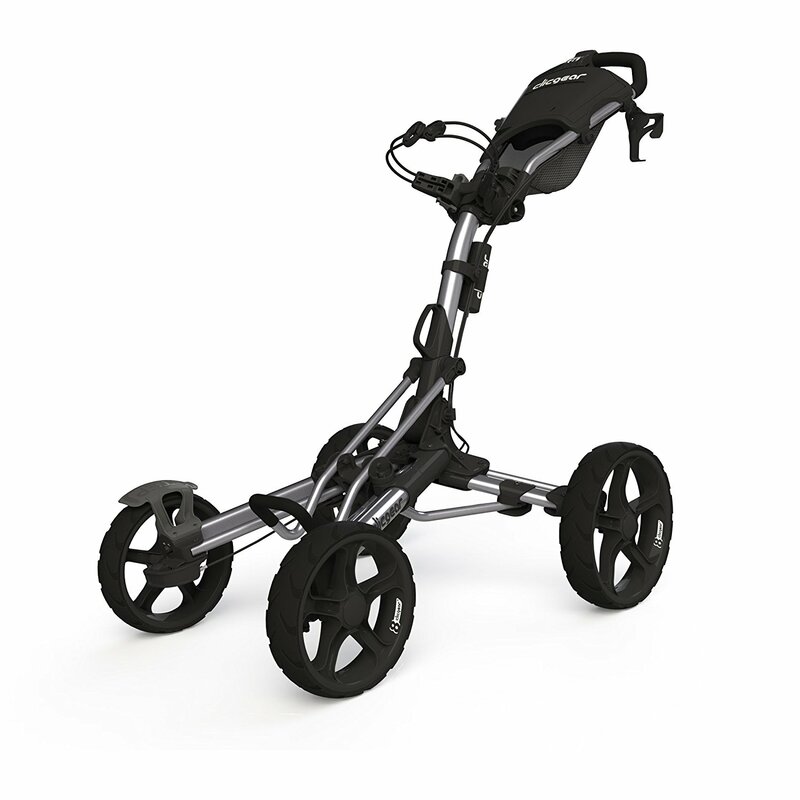 The Clicgear push cart is the newer version of its predecessor the 3.0 which turned out to be a huge success. The way they have managed to improve the cart is by giving some major improvements to the mobility on the course. The cart is produced by one of the most well-known companies in the golf industry, with the 3.0 model doing so well the 3.5+ needed to ensure it has similar success and it has surpassed expectations. The design is similar to the previous model however, it does feel a lot more comfortable and easier thanks to the features which have been added and improvements that have been made. The overall weight of the Clicgear model 3.5+ is around 19.5 pounds (this is at the time as testing), with the weight being increased by 0.5 pounds since the previous version. The cart is one of the heaviest we have tested but this is due to the increased amount of features added since the previous model. With the new model having an inch shaved off the height. Saying this, the cart still doesn’t seem to fold into a perfect block. Those who are used to a smaller cart will find it difficult to get this in the trunk of your car, with many people having to place it in their back seat. When it came to unfolding the clicgear it wasn’t as straight forward as we would have liked. Unlike other companies clicgear have made a folding and unfolding video which is viewable on their website. This helps to explain more about why their folding and unfolding technique isn’t great! Clicgear have set about highlighting the critical knobs in bright colors, but although they have done this it still requires a good amount of thinking to get the cart folded. When using the clicgear on the course we found that it moved great on different terrains and surfaces. The handle height on the cart can be adjusted easily which will allow for a more comfortable use whilst pushing the cart around the course. The overall stability of the cart whilst using it on the course was great, this is down to the tube technology and solid design which gives a wide wheelbase. The elastic band which is found attached to the top of the valuables tray, its main purpose is to hold a scorecard whilst you are going around the course, but whilst we were using the cart we found it to be more useful at holding down a mobile phone. This was ideal whilst the phone was running a GPS golf app. There is a valuable tray which is very spacious and has a magnetic lid. We found that it was great for storage and we managed to store, 2 golf balls, our mobile phone, keys, wallet and a GPS device. The storage box is there to hold 3 golf balls and there is no other container on the clicgear5+ to store golf balls. There is a storage net which is around 80% bigger than on the previous generation, this makes it great for holding head covers whilst you are taking your shot. There are a number of other things that this can be used for. Such as holding snacks or holding any other items you don’t want in your way whilst you are playing. There are 3 storage holes for tees. There is another elastic band which is attached to the lid of the valuables tray, this is mainly for holding the pencil, but we found it to be too tight to enable quick and easy access. An umbrella holder is also a great feature to have as it will help to provide with the much-needed shelter when it starts to rain. Clicgear have said that they have improved the bracket which holds the umbrella, due to many people complaining about it in the previous model. With many other manufacturers making a massive effort in order to make their cart designs look great, but the clicgear 3.5+ is still the good-looking golf cart which is available on the market. There is a kind of low profile stance and great color combination that we love to see. Beautiful sleek yet aggressive styling. Extremely stable on all types of terrain. Huge amount of accessories available. Extremely complex folding and unfolding process. Seems to be more bulky when folded up compared with the previous model. To conclude, the clicgear 3.5+ helps to bring together a large range of qualities which a lot of golfers loved in the previous generation. Clicgear have taken these and made some great improvements to the brake system and storage available. This is a great purchase for any golfer. 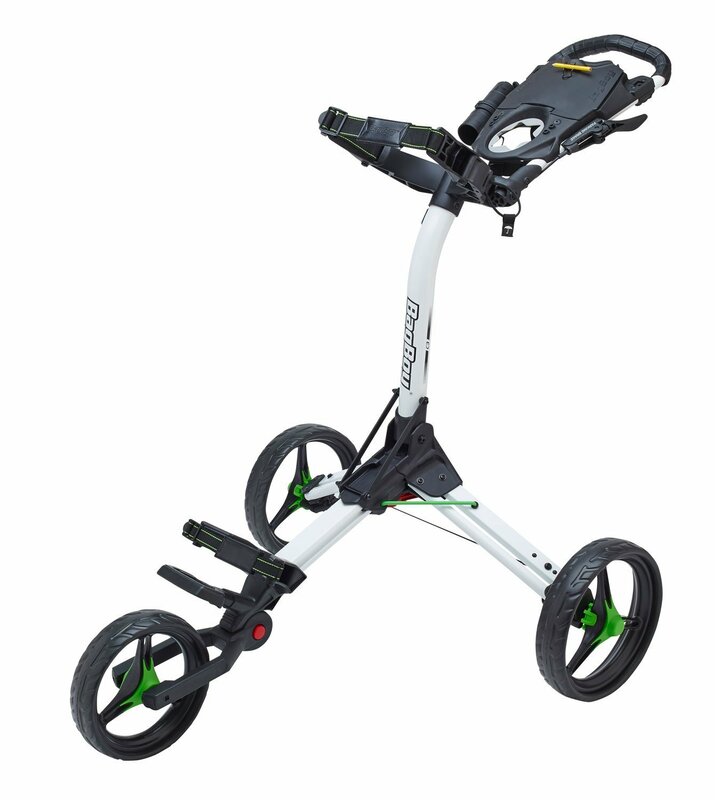 The Caddytek EZ Fold has been designed to be perfect for the average golfer who likes to walk a lot. Caddytek is the one who makes the best golf cart. This model has been created so that golfers can move gear from hole to hole with a small amount of energy. The cart has a wide wheel base which helps to be smooth and be stable on any type of surface. Having a one-click brake system helps to keep things more convenient for the player. The golf cart weighs in at 16.5 pounds at the time of testing and is around average comparing it with all the other types of carts we have tested. When the cart is folded down it is nice and compact measuring in at 15.5 inches in height, meaning that it can be easily stored in your cars trunk. When it comes to a golf cart, you want to be sure that you can use it without having to follow a huge amount of steps to achieve a simple task. As with many carts on the market, the CaddyTek does require some initial assembly. The instructions are in a great amount of detail and the entire process should only take around 2 minutes to complete. The unfolding of the cart is definitely where the CaddyTek shines, there are two steps to complete the unfolding process and then you are done. Simply pull the front wheel out and move it 90 degrees you will hear it click into position. The next step is to pull on the cart and extend until you hear the second click into place. Taking the CaddyTek onto the course it will help you easily get your gear around the course. It does require a little more effort than other carts, this is down to the EVA plastic wheels which don’t cut through rough patches easily. This means that you have to give a little bit of extra power to get through it. The great thing about this cart is that it has a low center of gravity and wide wheel base which helps to keep the cart stable through tough conditions. There is a small valuables tray which has a magnetic lid, however, there isn’t a great amount of storage. When we tested it out we were able to fit 2 golf balls, a small GPS device, a mobile device, keys and a wallet. With these items inside we were not able to close the lid correctly but found that removing the GPS device helped to get the lid closed. You can find a plastic clip attached to the valuables tray lid which is meant to be used to hold your pencil and scorecard whilst going around the course. There is an umbrella mount which helps to hold an umbrella upright to provide shelter both in the rain and in hot weather conditions. The umbrella has a quick and easy install, by simply screwing into a hole in the handle. Five holes to hold tees. A fairly decent size cup/bottle holder which has the ability to hold most bottles. When we first got the CaddyTek out of the box we were a little shocked at the looks. The reason we were so shocked is down to us thinking that the low center of gravity would give a less aggressive stance but that isn’t the case. The red trim found on the wheels and handle match the silver on the model we tested. Folds into a flat and compact space. Easy to fold and unfold, no complex techniques needed. Great pricing, with some colors available from as low as $109. There is a limited amount of storage space available. The EVA Plastic wheels are poor when pushing through tough terrain. The foot brake is a little awkward to operate. Overall, the CaddyTek EZ Fold has been designed in a way that is simple and effective. Taking up a small amount of space when folded up and taking only a matter of seconds to fold/unfold the cart. There are a few problems with the EVA plastic wheels but other than this it is a great cart for any average golfer. The overall size of this golf cart isn’t an issue thanks to its handle being able to be adjusted to four different positions. 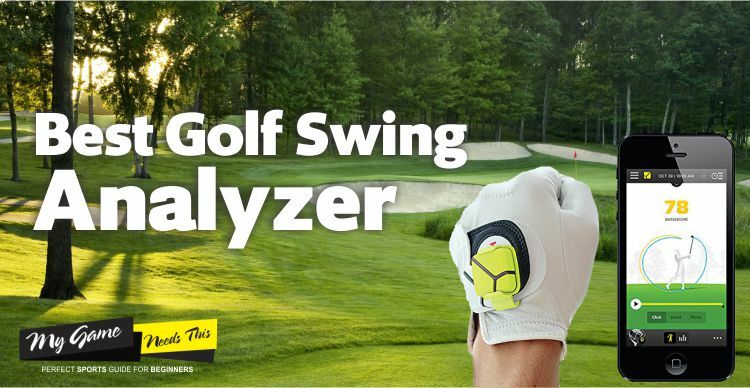 This means that it can be used by any size golfer without affecting their position. With an overall weight coming in at under 12.2 pounds it is one of the lightest weight models currently on the market. This also means that you won’t be exerting a lot of energy to move your gear around the course. The cart can be folded up in a matter of seconds, this is mainly down to the one-step folding feature. This means that you can save a huge amount of time when it comes to folding and unfolding the cart. The only parts of the cart which affect the folding mechanism are the handle and the front wheel. When it came to taking the CaddTek Superlight onto the course we found it to be incredibly stable thanks to its wide body and it was a dream going through even tougher terrains. Overall we found that there wasn’t a great amount of energy required to get it around the course and was rather pleasant to use. Once we had finished for the day the quick one step folding system helped us to get in the car in a matter of seconds. There is an abundance of storage space when it comes to the CaddyTek super light cart, this is mainly for clubs, tees balls, and pencil/scorecard. There are other storage spaces too such as umbrella holder, can holder and a mesh net which is ideal to store your head covers on whilst you are taking a shot. The black and red colors on the golf cart make it stand out whilst rolling it around the course. With an aggressive stance, it definitely looks the part and is ready to tackle any kind of terrain. The highly padded handle looks great to hold onto and doesn’t look overly strange which is what we usually find with ergonomic handles. There are no issues when it comes to the folding and unfolding of this cart, this mainly being down to the ability to fold/unfold in one step. The get the feeling that the manufacturer has put a lot of effort into making this simple and easy for anyone to accomplish. With a lightweight material, it is extremely easy to push around the green which means you can conserve all your energy to put into your shots. The brake system on this cart is fantastic, it is simple to engage and will hold on any type of terrain. Overall, the CaddyTek Superlite is definitely smooth and quiet. You will hear hardly any noises whilst you are on the move, both from the cart and from yourself as you will not need to exert yourself. The brake system does work incredibly well and whilst we found that it is easy to operate, many people have said that it is hard to operate in certain types of golf shoes. Mainly those with soft soles or those that are easily bent. The can/bottle holder is a great feature to have, but many people have said that where it is positioned is not ideal and would like it to be moved elsewhere. In conclusion, the CaddyTek Superlite is the whole package for any golfer and is easily one of the best golf push carts on the market right now. It has a great price and with some of the good features that can be added onto a golf cart. It is incredible easy to get up and running with the one step system for folding/unfolding. This lightweight cart is ideal for those golfers who don’t have a high budget but still want excellent quality. 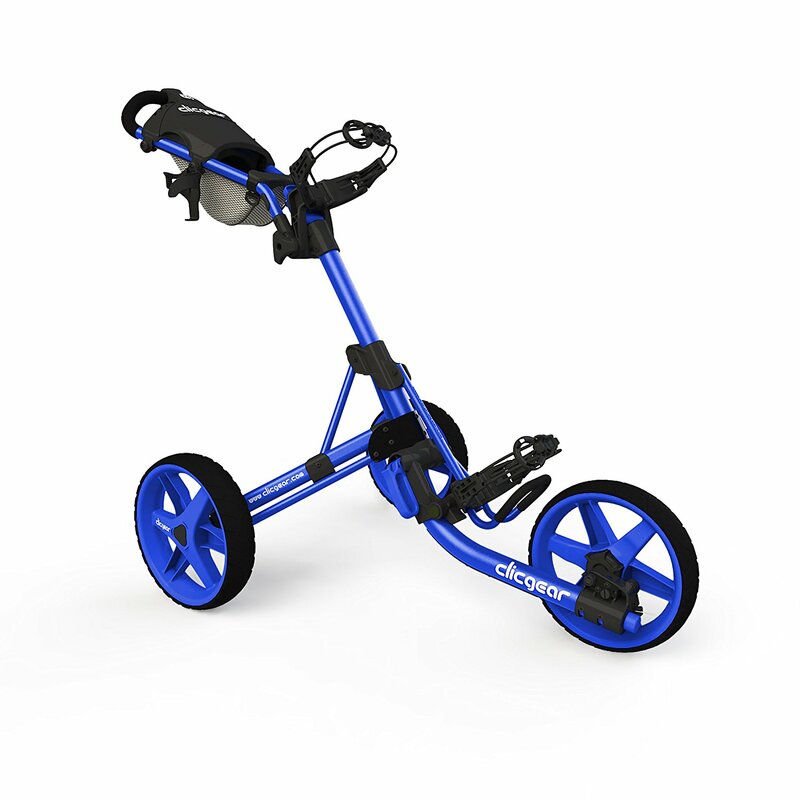 The clicgear model 8 golf push cart is a highly improved design from the 3.5+ which was hugely successful on its release. Taking a look at the newly designed golf cart it is clear to see several things just from looking at it, the bag and all of the bars are much higher off the ground which will help to improve the movement, making it smoother. Although they have increased the size of the cart, the folding and unfolding technique has remained simple to manage, much like those with three wheels. This cart features one of the largest consoles when compared with all the previous clicgear carts. Take a look over the features below and you will see why we believe that this cart is awesome! The main thing to note about this cart is that it is a lot heavier than its predecessor coming in at 22 pounds. This is up from the clicgear 3.5+ which weighs only 19.5 pounds. When it comes to the push test this cart is definitely on the heavier side and it is clear when moving around the course. The one thing that is clearly improved from the clicgear 3.5+ which was a nightmare and definitely took some time to perform. The folding technique for the Clicgear Model 8 is a lot simpler to understand. Simply unlocking the handlebar lock lever and stepping on the piece of plastic which is conveniently labeled “STEP” which will hold one of the front wheels in place. Then lift up the handle slightly and push it back whilst lifting up the back end of the cart which will make the back wheels extend into position. You will hear the frame click into position and you will just need to adjust the handle to the ideal height for you. Whilst we were on the course with the Clicgear model 8 we found that it was much more stable than the previous models, as many of them were found to be extremely unstable. But the frame on the model 8 still has a high level of construction and the addition of the fourth wheel is definitely a bonus when it comes to different terrains. The hand brake which is found under the main cart handle locks the front wheels into place. It is simple to operate and works extremely well when it comes to difficult terrains. We found the console to be very roomy and found the lid to be held down tightly with the magnet within the lid. We managed to store our mobile device, GPS tracker, 2 golf balls, keys and wallet with the lid closing perfectly fine. There is a long elastic band found on the top of the magnetic lid which is designed to hold the scorecard, although you could use it to hold your mobile device whilst running a GPS app. There is an umbrella holder and mount which means that heavy rain or heavy sun doesn’t have to affect your play. The Clicgear model 8 is by far one of the good looking push carts currently available. It has an aggressive stand and doesn’t look like it is going to break easily. This is ideal when it comes to the multiple terrains that are faced on many different golf courses. Great looking and sturdy design, helps put confidence in the purchase of this cart. There are a huge range of accessories available on this model 8. The design was found to be awkward with carry bags. A lot heavier than any other cart on the market and is still bulky when it is folded. Looking at the high price tag of this golf cart, it is definitely worth the coin. 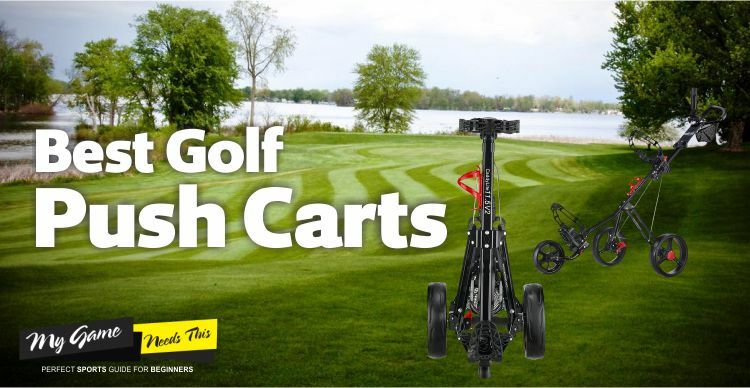 If you are a regular golfer then you will definitely benefit from all the features which are available on this cart and it would certainly last a long time. If you are looking for a high quality and well-built cart then look no further. Looking at the bag boy C3, you can tell that some thought has been put into the design which now helps to navigate the course with ease. This three wheeled best golf cart has a great amount of stability and a huge amount of storage space too. 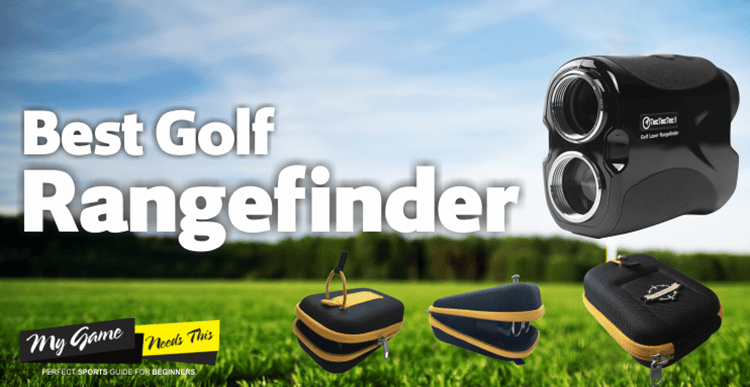 It has a great range of features available, these include extra depth storage spaces for both scorecards and your mobile device, as well as can holders and an integrated umbrella. The overall size of the bag boy c3 is on the smaller size and is ideal for those who don’t want something big and bulky whilst they are walking around the course. With the lightweight frame used on this cart, it is easily pushed around the course without much effort required. Bag boy have really put some time into designing a beautifully simple three step fold system which helps to save time when folding and unfolding. This three step fold allows you to make the cart small enough to store in your trunk in a matter of seconds. When it came to using the the best golf push cart on the course we found that the lightweight frame was extremely helpful with being easy to maneuver. The extra deep storage spaces was definitely a positive when storing our gear. With an extra wide and durable frame, we were able to go across a number of terrains whilst the golf push cart remained stable. Although many of the golf carts on the market currently have space to hold a scorecard, but none do it like the Bag Boy C3. The storage areas throughout are a lot deeper to make sure that all items remain safe while they are moving. This is one of the easiest golf carts to maneuver around the green which is mainly down to the pivot of the front wheel. The adjustable height on the handle makes it ideal for any size golfer. Deep storage spaces helps to protect valuables whilst on the move. Many people have mentioned about the bottle holder being in an inaccessible place. It only has a single brake, which can be less efficient on uneven surfaces. The cart can take a little longer to fold than you would usually find in golf push carts. The Big Boy C3 is not the fanciest models available on the market right now, but it has a great number of features which help it to get around the green simply and easily. It is very easy to assemble and will definitely be a great aid to your movement around the course. What Is A Golf Push Cart? A golf push cart is a storage bag on wheels. It is specifically designed to store all your golfing equipment in one place, without the need for carrying a bag on your shoulder. Golfers often have a hard time carrying their funky looking Golf bags on the course with during the game resulting in unnecessary stress in the arms. A golfer with a golf push cart will obviously better poised to take on the game. 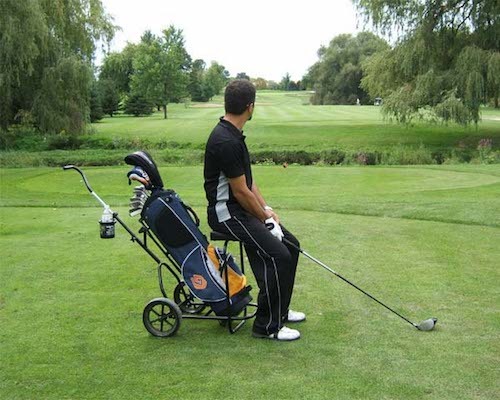 A regular golfer can very well relate to the in convenience involved in carrying your favorite golf clubs in a bag all along the game, at first, you might ignore the weight but after a few rounds, you will start realizing that your game is being compromised, which is why considering opting for a golf push cart for you is a wise decision. If you often find yourself getting fatigued whilst walking around the course or waiting a long time between shots then a cart with a seat is an ideal choice. Having a fold down seat is great for the older player or those who suffer from fatigue easier. This can help improve your game by allowing you to rest between shots and being able to focus without worry about aching legs. This is one of the key areas that you should be considering when looking for a push cart. As this will greatly affect how you are able to carry your gear to and from the course. A good cart should collapse completely flat and take up a small amount of storage space in your car and home. When purchasing a push cart, you should always make sure that you check how easy the cart’s features are to use. This means looking at how the carts fold and unfolds. Not to mention looking at the ease of attaching the bag and other clips. It is important that you get a cart that doesn’t require a huge amount of effort when it comes to unfolding and folding, as this can cause you to lose game time. The pouch, pocket, and post are yet another essential in any push cart, the reason for this is that they provide you with plenty of storage space to place your mobile, rangefinder, balls and much more. With many even having umbrella and drinks holders. Whilst looking at these things it is important that you take into consideration their overall size and durability. This will help to ensure that you can safely leave your valuables in there without worrying about damage being caused to them. As mentioned above, it is important to check out the braking features on the carts to ensure that they are what you are after. If you have a single locking wheel then you may find it hard to keep it still whilst you are taking your next shot, especially when the cart is placed on an uneven surface. We recommend that you purchase a cart which has dual locking wheels, this will prevent even the slightest roll on an uneven surface, helping you to focus on your game without worrying about your cart rolling away. When you pack your cart full of gear you want to be sure that when you start to move it around you have a sturdy handle in order to cope with the weight. The handle should be designed so that it is ergonomically designed and is easy to hold so that you can maneuver your cart easily and efficiently. You should make sure that you choose the best golf push cart with a handle which allows you to have your hand in a natural feeling position and with extra padding to help make the grip more comfortable. Your cart will be traveling with you to and from the club, so it is important that it isn’t oversized and is impossible to fit into your car’s trunk. If you have a cart that is compact in size it means that you can carry it around everywhere with you. So if you are away on business you can find a local range or club and go for a few rounds when you’ve finished for the day. Another great thing about having a compact cart is that you don’t have to worry about pushing it around the course, as it will be small and easy to manage. The weight of cart both on and off the course is important, as you don’t want to be having to push around a heavily weight cart around the course. This will not only affect your game by having a large amount of fatigue, but it can be hard work on courses with a large amount of hills. If your cart is heavy then transporting it to and from your car can also be a problem and could cause injuries to yourself. An important note here is that the more features your cart has the more weight the cart will have overall, so when looking it would be recommended that you decide between the number of features and the weight. Golf carts have to be able to handle a wide range of terrains so it is essential that yours is equipped with the right set of wheels for the terrain. It makes more sense to purchase a cart that has big wheels which will help to conquer those harder to manage terrains. Not to mention, the larger the wheel the easier it will be to push the cart around the course. It is also a good idea to check the parking brakes, as the two options are that they can lock one or both wheels. It would be more ideal to have a cart which will lock both wheels rather than just a single, especially if you are parking it on an uneven surface. Having a golf push cart than you can fold down whilst it isn’t in use is one of the good features to look for. 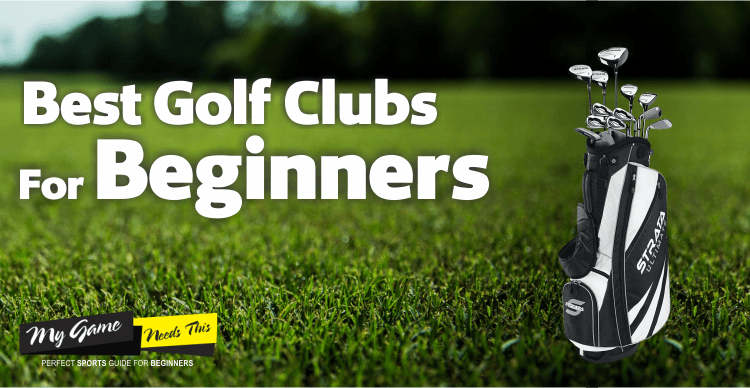 It can help when it comes to transporting your clubs to and from the course. As well as making sure that it doesn’t take up a lot of room whilst it is being stored in your home or car trunk. With a collapsible push cart, you should also look at how easy it is to fold and unfold. The reason for this is that if you have to go through a considerable number of steps to fold up the cart then it can impact the amount of time you have on the course as well as be frustrating. You should look for a cart which has a quick snap folding feature and ideally folds up into a small compact space. When looking at more features on your golf cart, carrying an umbrella for many golfers is essential, if there is an unexpected downpour it can be good to know that there is a place to store an umbrella inside your cart. If you find yourself walking around having a few drinks around the course or even just a bottle of water, it can be awkward not having a place to store it whilst you take a shot, which is the reason why you should make sure that your cart has a can holder. During a game of golf on a hot day, it can be good to know that you have the ability to produce some shade so that you don’t suffer a heat stroke or fatigue more in the blistering sun. Many carts come with this feature and it is definitely a great thing to consider in your purchase. Having a bag that contains all your equipment such as ball cleaners, club head cloths, and head covers can be great to have. It will allow you more storage space which is always a good thing if you have a lot of equipment to store. You can also pack in some first aid equipment just in case something unexpected happens on the course. Of course having a number of features is always a great thing, but you want to ensure that you don’t have a cart which contains a high amount of these features. The reason being is that you will have to push this cart around the course which may have hills and other uneven surfaces. Features add more weight to the cart and added onto the weight of your equipment it can cause a lot of stress on your back as well as fatigue you whilst in play. Ensuring that you have a good balance of features will help you to get the most out of your cart without it being a huge burden whilst you play. Which Type Of Golf Cart Is Right For You? Pull carts are one of the smallest and simplest types of golf carts available. They have two wheels which are operated by dragging the cart behind you. These are by far the most suitable for golfers who don’t have a large amount of gear that they need to carry around with them, but this cart will also help you to conserve energy whilst having a round of golf. Since these carts are small, it means that they are extremely lightweight compared with other types of carts available. If you are on a budget then a pull cart is amongst the cheapest type of cart you can purchase, they are quick and easy to assemble as well as folding away for storage. Comparing these to golf push carts, they can be difficult to maneuver and do not contain a lot of storage space due to their smaller size. Better than having to carry around a heavy bag on your shoulders whilst walking around the course. Ideal for golfers who don’t require a lot of equipment to be carried around with them. Due to the shape and size, there is a limited amount of storage space available inside the cart. Difficult to maneuver around the course. These type of carts are amongst the most popular choice with golfers today. As you can see from the name of the product, they do not contain a motor, these are simply pushed around the course containing all your golfing equipment. Different manufacturers and models have various different features, but usually, they are 3 or 4 wheeled to give stability whilst pushing and are among the cheaper type of carts available. They are easily controlled, with a lighter construction than those found with a motor, not to mention that they have a lot more storage space. There is still a large amount of energy require to push your cart around the course, but not as much as would be used if you didn’t have this type of cart. The golf push carts are bigger than golf pull carts which means that they will take up more storage space when folded but, due to the fact that they can easily be maneuvered around the course it makes them one of the favorite types available right now. Bigger shape and design meaning a larger amount of storage space available. Easy to maneuver around the course. Can sometimes be heavier depending on the amount of equipment in the cart. Take up more storage space when they are folded down. Since the release of the best electric golf carts they have taken the industry by storm, making things easier for all golfers, whether you’re an older age player or if you are physically challenged then this type of cart has you in mind. Of course, the main difference between this type of cart and the push/pull carts is that it features a motor, this means that you can drive them around the course rather than having to exert energy to move it. Having this motorized version of a push/pull cart means that you can save a lot of energy whilst moving around the course, helping you to save all your energy for your game. There is only one drawback to these types of carts and that is that it runs from batteries which can often be a nightmare if you forget to charge them between sessions. No energy is required to move your equipment around the course. Larger storage space meaning you can carry more gear and also you don’t have to worry about the weight. Runs on batteries which if not charged after each session will run flat and will cause the wheels to become unmoveable. As technology in the golf industry has progressed the development of remote control golf carts have been making the lives of golfers much more relaxed and comfortable. These type of carts are designed in the same way as a Push or Pull cart for their body and shape. The only difference is that they contain a motor and come with a remote control. The remote controlled golf push carts allow the player to set a direction for the cart to move with and have it move there without any additional things required. In certain available models, it is possible to set a stopping distance so that your cart doesn’t carry on without you. You could set your distance right up the next hole and it will go meet you there, awaiting your arrival for the next tee off. These golf carts have changed the way a golfer plays and has become a must have piece of equipment to have, as it allows for you to be 100% focused on your game. Ability to set a location and direction for the cart to head to. Ability on some models to set a stopping distance. Uses batteries to run the motor, so it is essential that you charge the batteries between each sessions. Luxury golf carts have managed to find their way onto the market and have been received well by many golfers. They are usually electronically driven and have an exterior made with luxurious materials. You have the option to customize your cart to make it have the look and feel you want, not only this but the cart will be unique to you. Unique golf cart specifically designed for you. These carts are not designed for the average golfer. Those with a budget will find that these carts are on the high end of the price range. Being able to move around the green having all your golfing equipment it will help you to have a much better game. Whilst you are playing golf you should always have your golf clubs to hand, not to mention that you can quickly locate your gloves, balls etc. This helps you to concentrate on your game better. The push-pull cart allows you a huge amount of convenience in your game by making sure that everything you need to perform at your right during your game. A push-pull cart adds a huge amount of professionalism to your game and can make you look like a serious/professional golfer whilst you are on the course. 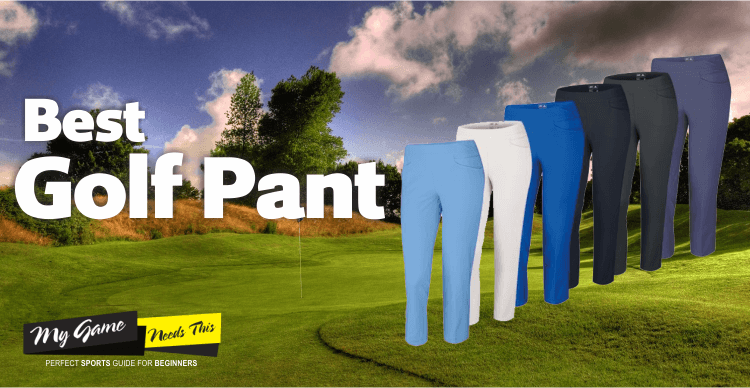 If you choose a great design that has vibrant colors then it will make you stand out from all the other golfers on the course. If you don’t have the budget or don’t want to pay for a caddy or cart, then you will need to carry all your gear whilst playing around the course. This can consist of several clubs at different weights as well as any other gear you need whilst out. This can cause the bag you are carrying to become extremely heavy, causing you to be fatigued whilst walking around the course and will have a big impact on your game. Having a best golf cart can eliminate this fatigue and since you are not carrying you gear on your shoulders it will help to give you more energy to put into your game. Caddies are helpful of course, but it can often feel strange having someone follow you around whilst carrying your gear. Apart from this point, you are paying for their service and it has been known of them to misplace people’s gear. With your push-pull cart, you eliminate the need to hire a caddy and you will know that your gear will always be nearby and will be extremely unlikely to be misplaced. If you don’t have the budget or don’t want to spend your money on hiring a caddy for your game then you will end up having to carry around your all your equipment, which if you are carrying all your golf equipment it can become very heavy and cause fatigue whilst walking around the course. This can severely affect your game, whether that’s from shoulder pain from carrying the bag (which will affect your swing) to being out of breath. It can often be hard to play when someone you are playing with takes several minutes to find the correct club or a certain piece of gear. When the game slows down it can become boring for those who are playing with you, not to mention that it slows down the game so other players may lose concentration. 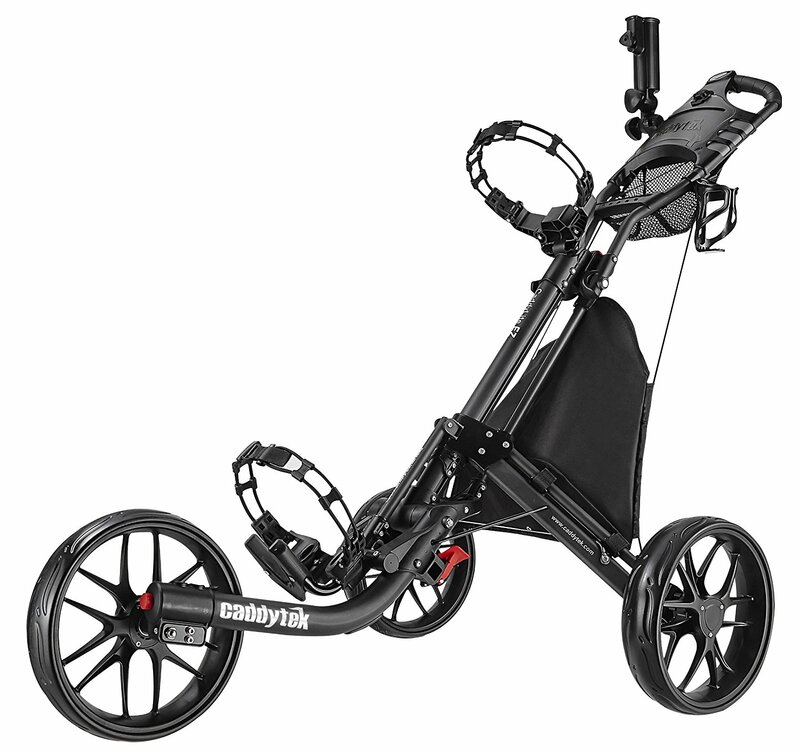 However, if you were to have a push-pull cart then this will help to eliminate delays all together as everything you will need will be close to you, meaning you have the convenience of grabbing a club and using it straight away. How Do We Evaluate A Golf Push Cart? At some point in any golfer’s life, they reach a point where they get tired of carrying around all their equipment on their shoulder for 18 holes. Now there is a way that you can remove the back pain by having a golf cart take the strain. When it comes to reviewing and testing these golf carts we aim to provide an overall rating for the product we are testing, alongside the main features and our opinion on a number of different areas. Unless you have a chauffeur you will most likely be the one who is transporting your cart to and from the trunk of your car. This is often why you will find that we supply you with our opinion on the weight and size of the cart, as well as the size when folded. This basically covers how easy it is to get setup and running. We time how long it takes to get the cart setup and rolling. We make sure that we give our opinions of the cart both on the course and away from it. Many golfers like to have all their gear with them no matter where they are on the course, which is why we like to make sure that we cover all the accessories and storage options for each cart. When it comes to your cart you want to make sure that it look great and we always try to give our honest opinion about the look of the cart. Of course, you want to make sure that you are getting the good value for your money, that’s where we come in, we provide information to why we believe that the cart is perfect value for money. There are many factors that make up your choice to purchase the best golf push cart. The main thing is to do your research thoroughly before diving in to purchase. Start out by making a list of things that could be improved on your game which involves moving around your equipment and what would make it easier for you. The main point which is recurring through a lot of golfers is fatigue and decreasing it to a point where it doesn’t affect your game too much. If you do everything correctly you should see a huge improvement in your game and your fatigue should no longer become a problem.